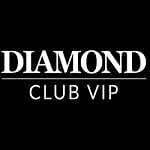 Enhance your gambling experience with DiamondClubVIP Casino. Make a deposit of at least 20 Pounds and you can get 100% up to £300. This promotion runs every Sunday for the first 4 weeks since you registered and you have to contact the customer support team in order to get it. Use the money to spin the reels or place a bet on table games. Fulfill the 20x wagering requirements before you make any withdrawals. Don’t let this chance slip away and get this bonus right now!